Focal Spark Wireless review | What Hi-Fi? Focal makes one of the best pairs of headphones in the world, the Utopia – which speaker buffs may also recognise as the name of one of the best speaker series. It’s a sure sign Focal can ‘do’ superlatives. The Focal Spark Wireless are much more down to Earth, though. They are £90 wireless earphones with a far more ordinary sound. The Focal Spark Wireless don't cost too much more than the £60 of their wired equivalents. But on close inspection, they don’t look or feel anything out of the ordinary - the price doesn't immediately seem any sort of bargain. The Spark Wireless are basic earphones - a narrow cable connects the two earpieces and a couple of junction boxes on the cable house the electronics. There’s not much ceremony here, although in use the set-up works perfectly well. The larger of the two boxes sits dead-centre along the cable, so it rests just below the nape of your neck rather than to one side. It’s preferable this box is out of sight - it's really rather large for something attached to a small pair of in-ears. That size is not without purpose, though. Wireless earphones of this design tend to last for only 4-5 hours on a single battery charge, but the Focal Spark Wireless can manage more like eight. That’s much more like the longevity of a neckband wireless pair. The earpieces are all-aluminium, with a two-tone black/sliver look, and the second control box has the standard three-button array with a rubber-covered microUSB port for charging. Like many other mid-price wireless headphones, the Focal Spark Wireless don’t have smartphone-type features like NFC or aptX. However, they do include a carry case and a selection of three pairs of silicone tips. The Focal Spark Wireless demonstrate not every Focal product subscribes to the same audio principles. These aren’t neutral or particularly 'hi-fi' earphones. They have an obviously sculpted sound profile, with a dual emphasis on treble and bass. The midrage is a distant afterthought in the Focal Spark Wireless’ make-up. Such an approach can often be a lot of fun, but the Sparks don’t quite have this angle nailed. The treble gets plenty of the spotlight - but it serves to highlight that higher frequencies aren’t all that refined and are prone to brashness . Pronounced treble and a light touch aren’t mutually exclusive, but Focal has missed the latter. The effect is more obvious the higher the volume level: at lower volume they’re a fairly relaxing listen. Bass lacks subtlety, too. It’s not as taut as we expect from Focal, although it does at least give kick drums decent thump. Between treble and bass, though, there’s not a whole lot of engagement. While the meat of the midrange isn’t without texture or detail, it’s relegated to the bench by the towering blocks of bass and treble. Truly successful headphones with this sort of “V-shaped” sound signature can sound fun and vital. It can be a fair trade-off for what you lose elsewhere. But the Focal Spark Wireless end up sounding a little too manipulated, without the dynamics or rhythmic pace to compensate. The Spark Wirelesses are a little unsophisticated in their design and sound, which isn’t what we’ve come to expect from Focal. 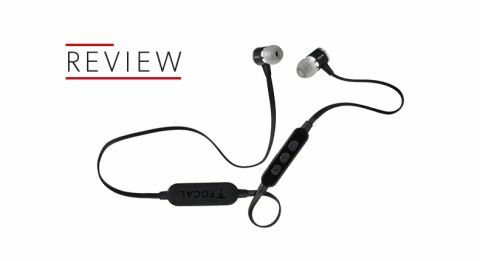 However, on the plus side, they do provide much better battery life than most pairs of in-ears we’ve seen – particularly those which aren’t much more than a cable and a pair of earpieces.